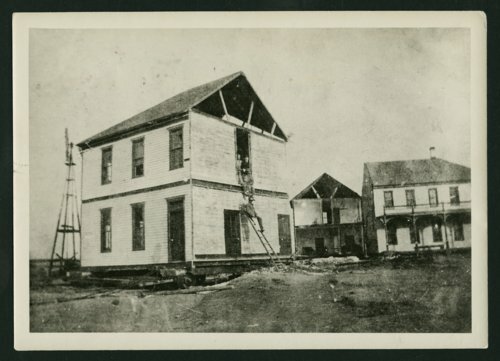 This is a photograph showing men preparing to move a hotel to the new Ulysses, Kansas. On February 6, 1909, the town was moved from its original location to escape payment of $35,000 in bonds plus $10,000 interest for waterworks and other improvements. The indebtedness was greater than the assessed valuation of the property.